This chapter will be pretty short! The security tab shows you whether the website you're on has a valid security certificate or not. 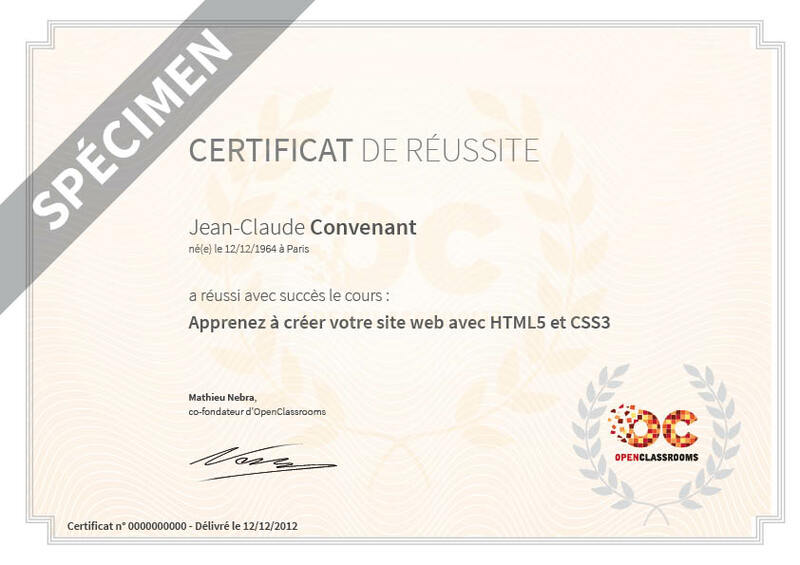 HTTPS means that you're a secure version of HTTP, which is a communication protocol on the web. Pages that handle payment details and sensitive information will likely always be on HTTPS. Take OpenClassrooms for example! Just because the site you're on doesn't use HTTPS, it doesn't mean you're in danger though. 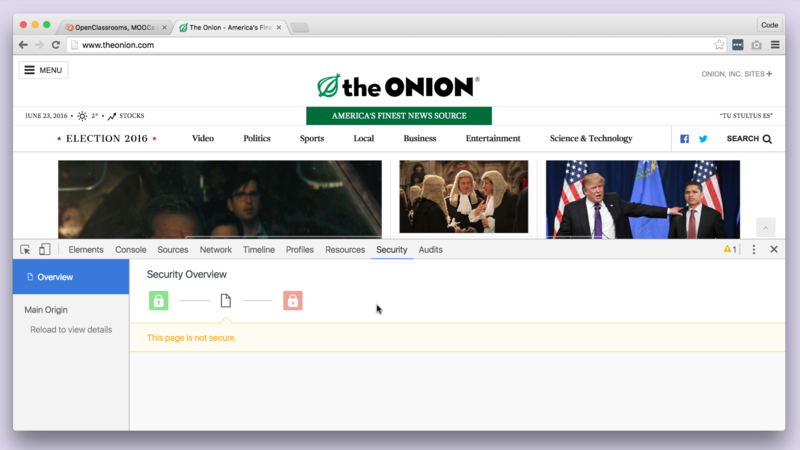 Websites that don't handle sensitive information -- for example, the satirical publication The Onion -- may not have a need for it. The time to be really concerned is if you're on a page that appears as red. Usually, Chrome won't even let you access these pages, saying that others may be monitoring your traffic. Be safe on the web, kids.